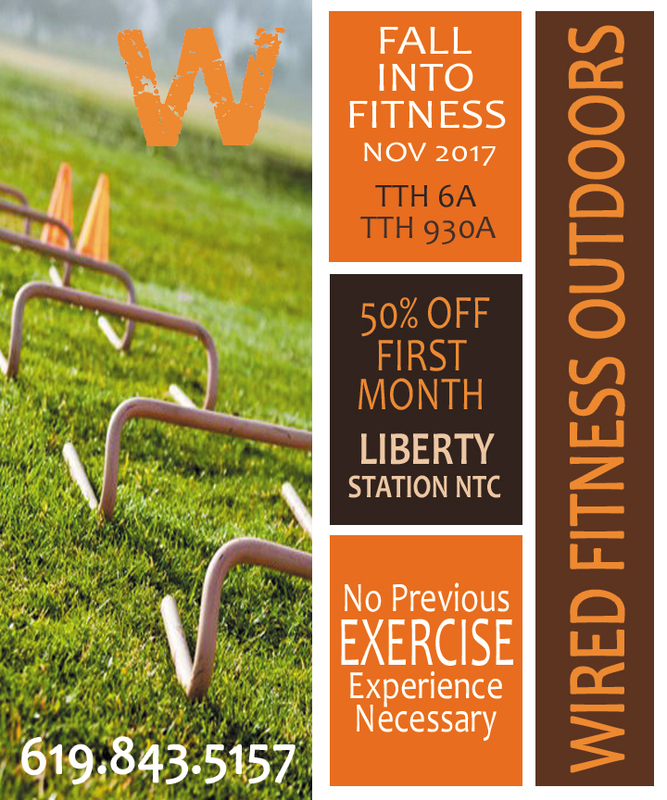 Starting NOV 2017 we will be offering a new class time in a location from our past… Wired Fitness San Diego has been offering, challenging, intense and fun outdoor personal training groups for the past 16 years. It’s been about 4 years since we help a bootcamp in Liberty Station so help us start this awesome location back up. To help us promote this new spot we will be offering new or returning clients 50% OFF their first month. Bring a friend or more for additional savings! Three friends equals your 2nd month FREE.